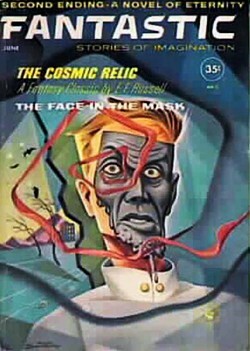 "The Face in The Mask"
People in this story are trapped in an artificial, soul-killing environment (reminiscent of "The Truman Show") with all sense of identity and destiny seemingly lost to them. They go around in masks and pointlessly gaze at the painted landscapes around the city. The countryside is not much better. Soon there is only one thing left: to turn away from your own misery and start helping others, one person at a time. But then, such choice is almost always the hardest.